There are two primary sources of internship opportunities: opportunities that are published on websites and in print resources and those that are never made public. For that reason, it is important that you perform a balanced search that involves tapping your network and using online resources. 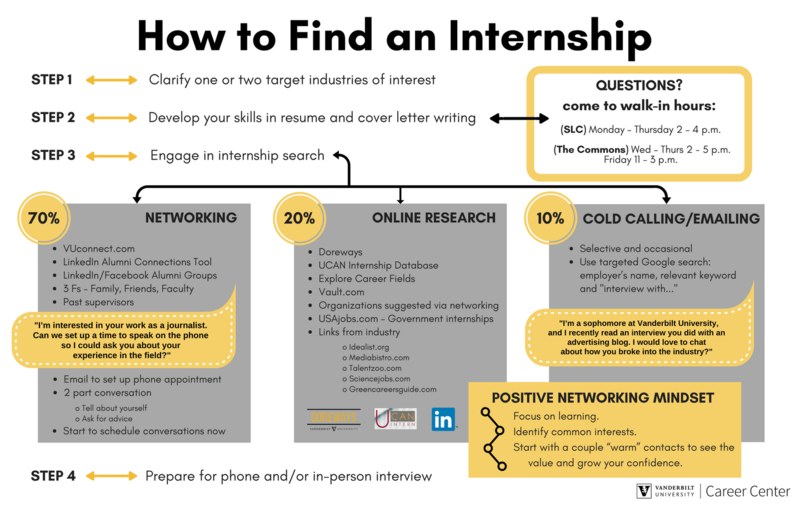 Take a look at our How to Find an Internship Worksheet. International students searching for jobs and internships should visit our Career Services for International Students page for answers to questions about employment. Many internship programs require you to apply for and receive academic credit. To begin the process of applying and receiving academic credit, read below and then contact the Associate Dean of your college/school. To be eligible for the subsidy, you’re required to review the Internship Orientation Guide and complete the quiz focusing on workplace law and workplace etiquette. You will then print your results page and submit the required application form to your Associate Dean’s Office. For complete details of the application process visit the Summer Internship Subsidy page. Students who choose not to apply for a summer internship subsidy may continue to use the regular tuition process to enroll in designated summer internship courses. Details are available through the Dean’s office of your college/school. As part of your search, we encourage you to participate in the Career Center’s on-campus recruiting activities. These events offer four types of opportunities for you to connect with employers offering internships and full-time positions in a variety of career fields: on-campus interviews, Industry Career Days, employer information sessions, and employer internship and job postings (via DoreWays). To participate in campus recruiting, you will need to upload a resume to your DoreWays account before you can apply to any positions. Take a look at our Internship Orientation Guide. If you’re applying for the Summer Internship Subsidy, you’ll need to complete the quiz which can be found on the last page. 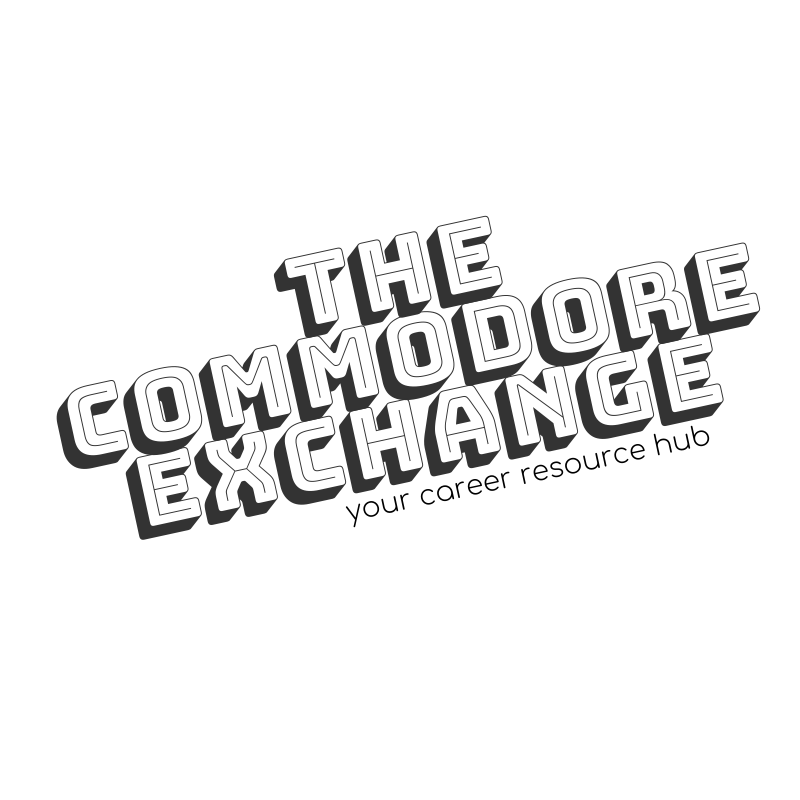 The Center’s My Internship Database is a list of internships that Vanderbilt students have held in the past. These opportunities were reported primarily through the Summer Experience Survey sent to returning students in the fall semester. Keep in mind that just because an employer is listed in this database does not necessarily mean they will hire future Vanderbilt interns. However, knowing they have had interns in the past may give you a starting point as you build a relationship with that employer. Once you’ve determined some companies of interest you can use VUconnect or LinkedIn to search for alumni you can contact for information about the company. To access the database, login to your DoreWays account. Hover over the Resources tab in the top navigation and click on Document Library. On the Document Library page, scroll down to select the Internship Database file. You can also view My Internship Database by looking under the Shortcuts section on your DoreWays homepage. Within the Excel file, please review the worksheet tabs at the bottom for detailed instructions for searching and using the database. Please note: Windows users must click Enable Editing for the database to be formatted properly. The University Career Action Network (UCAN) is a consortium of 20 national colleges and universities, which includes Vanderbilt University. The UCAN Internship Exchange is a shared database listing thousands of domestic and international internships, making it one of the most comprehensive internship resources on the Internet. UCAN internship postings can also be accessed through DoreWays. After logging in to your DoreWays account, simply click on the “UCAN” logo located on the lower right side of the screen. In addition to its other functions, you can search full-time jobs and internships posted by employers who have relationships with Vanderbilt University. This job board can be accessed by going to the DoreWays left toolbar, clicking Jobs, and then Vanderbilt Jobs & Internships. This job board’s unique benefits include showing the posting date of the position as well as pulling from employer human resource’s pages, government job boards, and free job boards like Indeed. Vanderbilt Students are granted free access after registering using their Vanderbilt email. After reaching their homepage, click Jobs on the left toolbar, and then click Search to access their job board. This job board’s unique benefits include internship rankings and reviews submitted by past interns. Vanderbilt Students are granted free access after registering using their Vanderbilt email. After reaching their homepage, click Explore Internships or specify your search using the advanced browser to access this job board. Opportunities are also posted on company websites, aggregator sites (such as Indeed and Simply Hired), industry specific-sites (e.g. engineering, healthcare, nonprofit), college-specific sites (like College Grad), and niche websites that have a specific mission (such as Idealist or INROADS). Because a majority of opportunities are never posted, we encourage you to dedicate a significant portion of your search time to networking and interviewing activities. A standard guideline is to spend 80 percent of your time networking and 20 percent of your time online.